In Zakimi Castle ruins you can see an excellent display of fine masonry work from the early part of the 15th century. 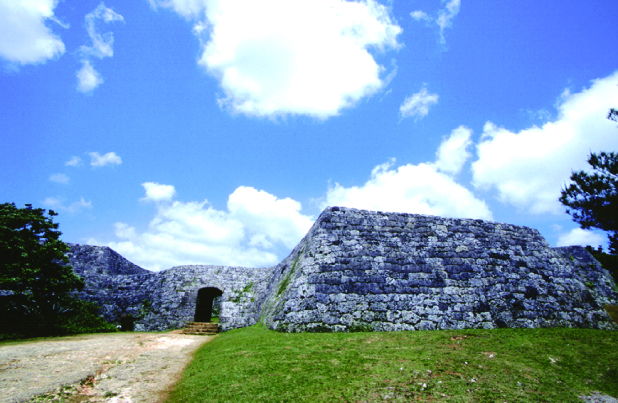 The castle was build by Gosamaru, who was a legendary warrior that played an important role in uniting the many warring kingdoms on Okinawa and the other islands under one rule. As the payment for his loyalty and bravery during the fight to unite Okinawa, Gosamaru was declared the Lord of Zakimi Castle, where he kept a watchful eye on warlords to the North. Zakimi became the center of Yuntanza, and also one of the finest castles in Okinawa. According to an Okinawa legend, Gosamaru is said to have had the stones from his former castle in Yamada moved one by one to Zakimi by forming a human chain of workers across the island. Gosamaru’s reputation as a fine castle builder continued after he left Zakimi to build yet another castle at Nakagusuku in order to be closer to the king..